When T20 took over the world by storm many commentators questioned whether the 50 over format would last. The 50 over format has since received criticism and appears to be getting squeezed between T20 and Tests. Cricket reformists lobby for T20 while purists want cricket to maintain its traditional touch with teams regularly competing in Test cricket. 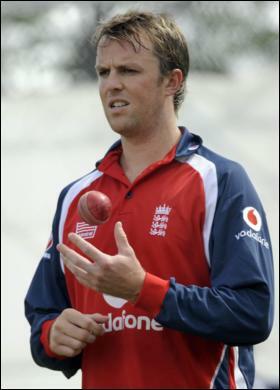 Graeme Swann feels that the ODI format is the least significant format and should be ended in favour of T20 and Tests. Is this the right mentality? Opinions on this will be very personal but there cannot be any denying that, ODI’s are a great balancing exercise between the thrill and fast pace of T20 and the mental toughness and challenge of Test cricket. In some ways this format incorporates the best of what both T20 and Test can offer. Yet, one can understand why this format is losing popularity in the wake of T20 which has now become the most popular cricket format and is popular with women and children as well as men. There seems to be a geographical divide in that whereas ODI’s are still popular in the subcontinent, Tests are more popular in England and Australia, who are still prominent members of the cricket fraternity despite the rise of India in the recent past and the improving stature of teams like Bangladesh and Sri Lanka. So, any efforts to end ODI cricket should receive opposition from the subcontinent. ODI cricket has provided some of cricket’s most glorious memories. Whether that is the Kerry Packer revolution, India’s World Cup 1983 victory, Miandad’s Sharjah sixer, Tendulkar’s general dominance etc, ODI cricket has balanced thrill and skill and brought a fresh and welcome outlook to cricket when it was introduced decades ago. Certain heroic or dramatic events that have captured our hearts and minds can only happen in ODI’s. Shahid Afridi’s 37 ball 100 is one such event- this kind of milestone is unlikely to be reached in any format, but it has the strongest likelihood of being reached in ODI’s. Similarly, the suspense and drama of matches such as the Australia v South Africa semi final in the World Cup 1999 can also only happen in ODI’s. The ICC needs to think very carefully whether it wants to dispose of ODI’s. Firstly this motion is bound to receive stiff opposition from the subcontinental lobby. Historically subcontinental teams have performed better in ODI and England and Australia have performed better in Tests. So, there might be a clash of opinions here. Secondly, cricket fans around the world may become frustrated with the fact that, T20 often seems to be a contest of luck rather than skill and fans do not get to see a lot of player development and strategy. Whereas they get to see player development, mental toughness and skill in Tests, there is no denying that due to changing trends around the world fans simply do not have enough time to follow Test matches like they used to. If any format has to be scrapped then arguably it should be Tests. A cricket purist would call for axing for T20s, but that seems very remote because T20 is a money spinner and popular with fans and cricket players alike. So due to the thrill and excitement offered by T20 it will probably exist for a long time to come. However, scrapping ODI should not be the answer. The ICC can intervene between cricket boards and organise matches evenly between teams so that some teams like India and England don’t feel they are playing too much cricket. They can also alter the rules of the game but this has to be done sensibly and timely. For example, the SuperSub rule introduced a few years ago was a disaster and one wonders how it even saw light of the day? In Tests I have proposed that there should be some changes in order to make the format more stimulating in order to prevent teams from playing negative cricket which goes against the spirit of the game. I feel that after each session of 10 overs, a batting team should be penalised 50 runs if it does not score a minimum of 25 or 27 runs. This means, that 50 runs are awarded to the opposition. If this happens in a 4th innings chase then the chasing team has to chase 50 runs more. Such minor but eminent changes can create more interest in the game. I feel cricket would lose out if ODI’s are ended in the future. Whilst the ICC should obviously consider changing times and changing demands of the fans, with some imagination they can definitely overcome this problem we are having today of players constantly complaining that they are playing too much cricket. Why not devise some kind of compromise rather than just scrap a format and damage cricket?